Retired Naturalist And Wolf Expert Russell Core Journeys To The Edge Of Civilization In Northern Alaska At The Pleading Of Medora Slone, A Young Mother Whose Son Was Killed By A Pack Of Wolves. As Core Attempts To Help Medora Track Down The Wolves Who Took Her Son, A Strange And Dangerous Relationship Develops Between The Two Lonely Souls. But When Medora’s Husband Vernon Returns Home From The Iraq War, The News Of His Child’s Death Ignites A Violent Chain Of Events. As Local Cop, Donald Marium, Races To Stop Vernon’s Vengeful Rampage, Core Is Forced On A Perilous Odyssey Into The Heart Of Darkness. 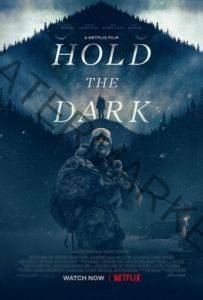 If you like what read about Hold The Dark, please remember to share Netflix New Releases on Facebook, Twitter or wherever you guys want it’s all appreciated.